The Value of Geoinformation for Disaster and Risk Management (VALID) - Benefit Analysis and Stakeholder Assessment is published by the Joint Board of Geospatial Information Societies (JB GIS). The publication is the result of the collaboration of many scientists who are dedicated to the implementation of geospatial information for Disaster and Risk Management. Published by Joint Board of Geospatial Information Societies (JB GIS and United Nations Office for Outer Space Affairs (UNOOSA) 2010. Editors: Orhan Altan, Robert Backhaus, Piero Boccardo, Sisi Zlatanova. 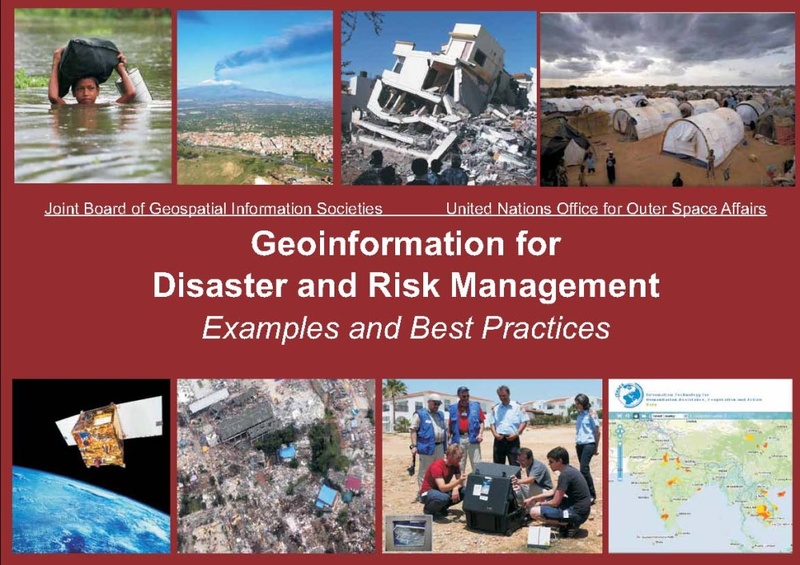 The primary aim of the booklet is to explain to governments, decision makers and disaster professionals the potential uses of geoinformation technologies for reducing disaster risks and losses, based on the knowledge and experience of experts in these fields.